In this combination photo, John Oliver appears at the Stand Up for Heroes event in New York on Feb. 28, 2015,, left, and actor Dustin Hoffman attends the 27th annual Independent Film Project's Gotham Awards in New York on Nov. 27, 2017. 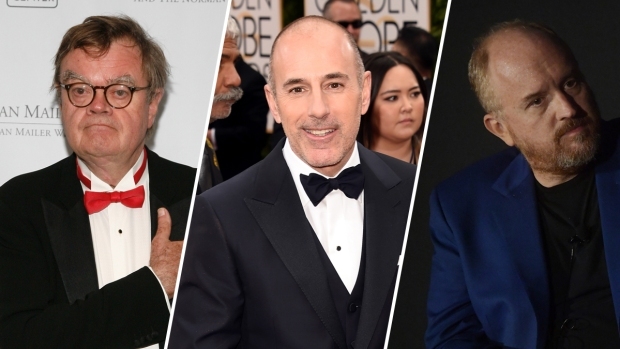 Oliver confronted Hoffman about allegations of sexual harassment during a 20th-anniversary screening panel for the film "Wag the Dog" at the 92nd Street Y in New York. 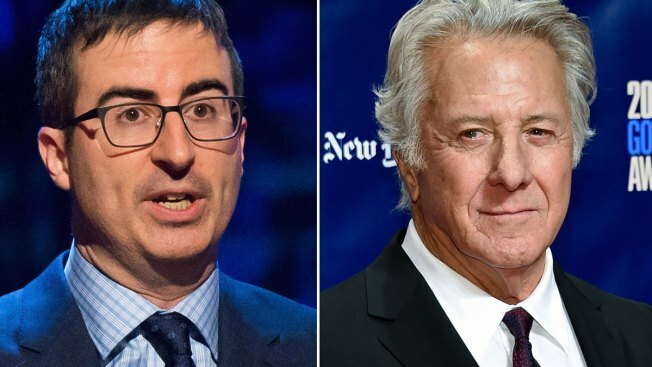 A starry anniversary discussion of the film "Wag the Dog" turned testy Monday when moderator John Oliver confronted Dustin Hoffman about allegations of sexual harassment. Hoffman seemed blindsided and defensive by the line of questioning from the host of HBO's "Last Week Tonight." Hoffman explained the accusation was 40 years old. "I don't love that response either," Oliver said. Hoffman shot back: "What response do you want?" Hoffman maintained that he did nothing wrong. Hoffman had said in an earlier statement that the incident "is not reflective of who I am," which Oliver seized on and called a "cop-out," adding: "It is reflective of who you were." Hoffman complained: "You've put me on display here." The back-and-forth came at a 20th-anniversary screening panel at the 92nd Street Y. Onstage in addition to Oliver and Hoffman were Robert De Niro, producer Jane Rosenthal and director Barry Levinson. "I get no pleasure from having this conversation," Oliver said. Referring to Hoffman, he added: "But you and I are not the victims here." The exchange was reported by The Washington Post, which also posted a video of part of the conversation.